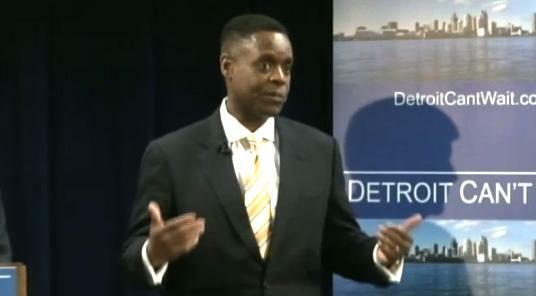 Detroit emergency manager Kevyn Orr's term is expected to be over this fall. So what next? Three years ago, only a half-dozen cities and school districts in Michigan were being run by state-appointed emergency managers. Today, 17 are in some phase of receivership. That proves not only cities and schools in Michigan are facing tough times, but that Governor Snyder is making vigorous use of Public Act 436, the state's emergency manager law. Bridge magazine writer Chastity Pratt Dawsey examines the effectiveness of the law and how it measures up to similar laws in other states in a report for the magazine's latest issue. She joined us today. First off, why does the appointment of an emergency manager result in such emotional responses from residents? Pratt said that people felt it’s taking away their voting rights. With a state-appointed overseer, the officials we elected have little power. Pratt also noted the fact that Michigan residents voted down the emergency manager law by ballot referendum in 2012, only for the Legislature and governor to approve another EM law weeks later. That played into the emotional response as well. Schimmel added that sometimes the EM act would make sense when the community was in crisis, and the state has the duty to think about what’s best financially. But how about prevention from crisis ahead of time, like what North Carolina did? “North Carolina has an intervention law, but you won’t see emergency managers in North Carolina, because [the commissions the state created] are there in the business, in the books of local municipalities, trying to prevent situations,” Pratt pointed out. While other states have succeeded with more proactive approaches, Michigan’s law has been characterized as the most aggressive in the nation. It has been criticized for giving too much power to emergency managers. What happens when the EM’s term is up? How can communities avoid sliding back into financial trouble? Schimmel shared his experience working as an EM for Pontiac and said that it's a gradual change. In the beginning of the transition period, a chief assistant was appointed to hold regular meetings with mayor and council as training sessions, regarding budget matters and so on. How would things go for Detroit, once Kevyn Orr’s term is up this fall? * Listen to full interview above. Benton Harbor Area Schools has taken the next step in process that could result in an emergency manager. Gov. Rick Snyder announced today his appointment of a six-member review team. The team has 60 days to determine if the district is in financial stress. The district’s superintendent, Leonard Seawood, told state officials a few weeks ago it is.